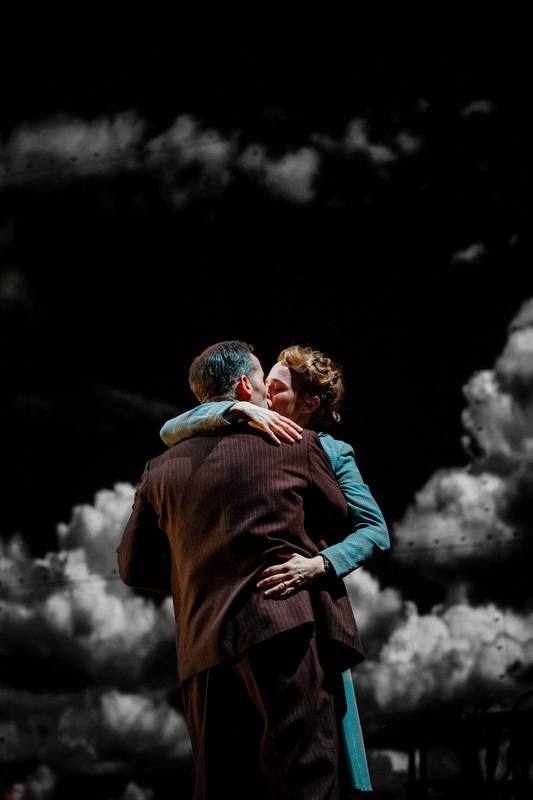 Being arguably one of the best love stories ever told on screen, it seemed rather fitting to find myself enjoying Brief Encounter, on stage at Birmingham's REP Theatre until 17th February, on the most romantic day itself; Valentine's Day. However, as classic as David Lean’s 1945 film is, this adaptation from Emma Rice, tells the story in a whole new way. 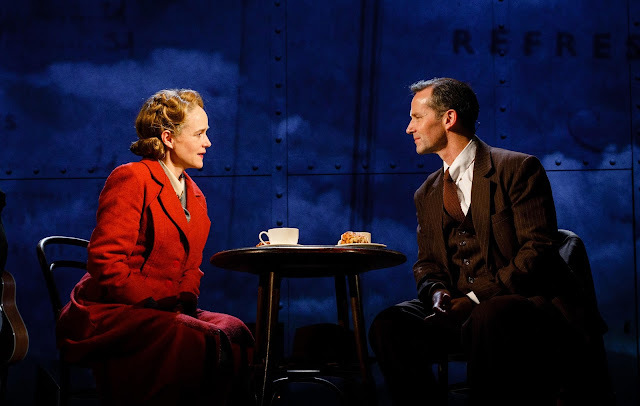 Rice's Brief Encounter, which was originally produced in conjunction with The REP and took to the stage back in 2007, has triumphed in every corner of the globe, from the West End to Broadway, and right back to Brum. To say we're glad to have it back where it all began, with the incredible magic from Kneehigh Theatre, would be a total understatement. Despite the production having a much more modern and eccentric feel to it, the story is still very much set in 1938, and is to my pleasure, quintessentially British and takes us right back to a country on the brink of a World War. We meet our starstruck lovers Laura and Alec at a railway station, which the entire set is based around, when Laura finds herself with grit in her eye, and nearby Doctor Alec comes to the rescue. Despite achingly trying not to totally fall in love with each other, they soon do, despite both having settled middle class lives with husbands, wives and children at home. The audience never meets Alec's significant others, but by meeting Laura's, we follow the change of her, from devoting wife and mother to a woman who yearns to live fully, with danger and constant risk taking. We watch her drift further and further apart from her routine life, and fall out of love with what she is so used to, whilst she falls wildly in love with Alec. Of course, given the story line, it was never going to end well. But, despite it being wrong what Alec and Laura are doing, the audience can't help but want them to end up together. Alongside the heart-wrenching story of Laura and Alec, stand an absolutely fantastic cast. Being mostly based in the railway station's cafe, we meet cafe owner Mrs Bagot, played by Lucy Thackeray, and her lover, station guard Albert, played by Dean Nolan, whose love story is one of huge comedy and brings wide smiles to each audience member. 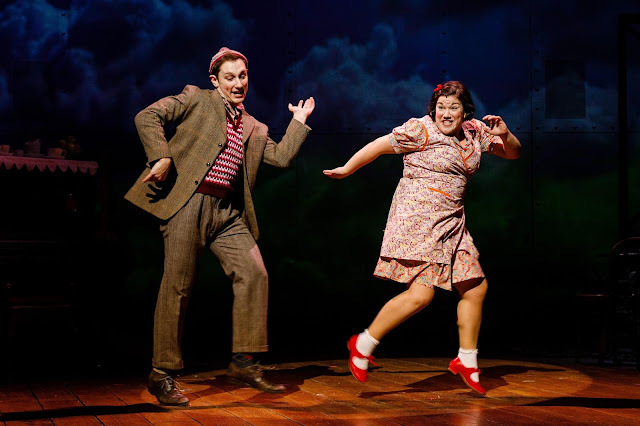 As well as Mrs Bagot and Albert, the audience totally fall in love with young lovers, waitress Beryl, played by Beverly Rudd and charming Stanley, played by Jos Slovick. 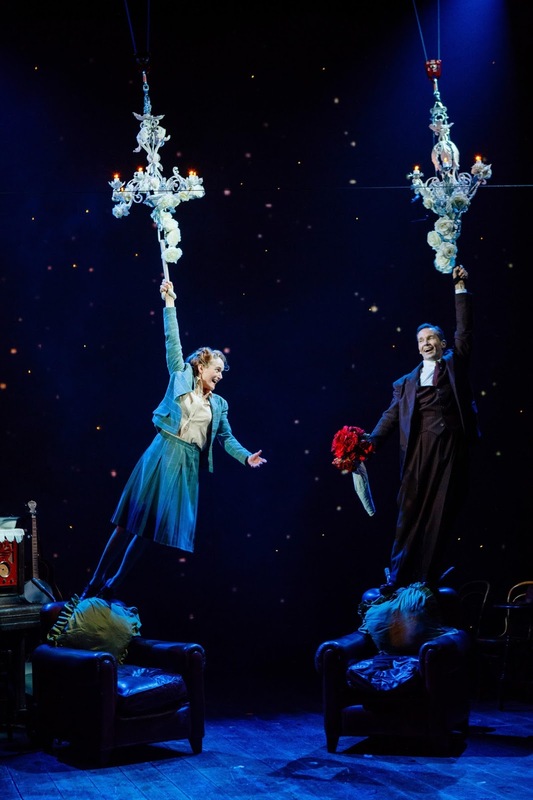 It is with Beryl and Stanley's help that the production is given a good pinch of slap-stick humour, as well as beautiful singing from both, and we are reminded just how wonderful it is to fall in love for the very first time. In fact, the show successfully followed three sets of love lives without being too obvious, and showed falling in love in three totally different ways. For me, the show got the feeling of falling for someone down to an absolute T.
As well as being a captivating story with a twist or two, the production is made as special at it is thanks to the incredible sets. Thanks to a bridge that creates the railway station, to a boat ride, to cinema screens to plush restaurants; they are all so easily and swiftly brought to life on the stage without too many scene changes. I would be lying if I said I wasn't a slight romantic, so for me, this production of Brief Encounter was everything I could have possibly wanted it to be, and so much more. For me though, it was the comedic element that really made the show what it was and it was the perfect blend of emotional and hysterical. I was incredibly impressed with the beautiful voices of the cast, especially Jos Slovick, who really helped bring that extra bit of romance to endless scenes. Character highlights would definitely have to be from Lucy Thackeray and Dean Nolan, who actually took on the roles of three characters during the play, including Laura's husband who waited patiently at home for her. 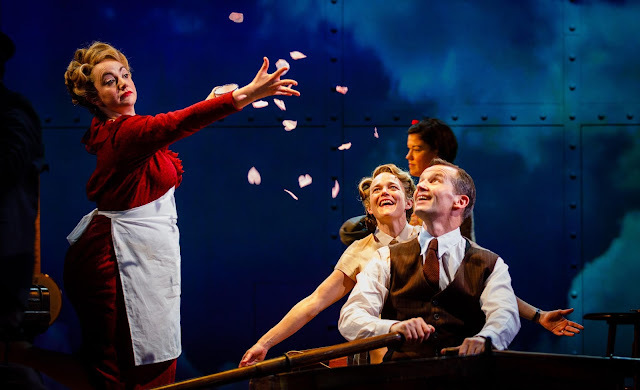 Brief Encounter is a hauntingly good love story, but Emma Rice's take on the classic brings the story to life for a whole new generation. I strongly suggest you don't miss the show whilst it's back on the stage where it all began. 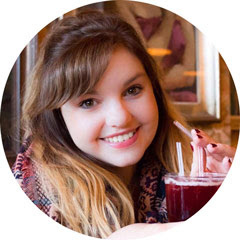 Bethan In Brum is coming to you!